How to find a dentist. | Dentist search: Choosing a good dentist. 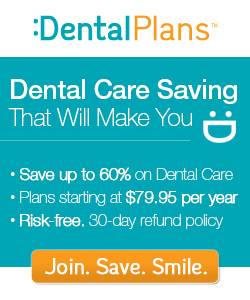 Find a local dentist and compare discount dental plans FREE by entering your ZIP code in the DentalPlans.com quote box, or click here. Choosing a dentist: Tips to help you find a dentist in your area. If you're moving to a new area, or simply don't like the dental care you've been receiving, it's probably time to find a new dentist. So what's important to you, when looking for a good dentist? The primary reasons may vary, but for most people a good dentist is one who has a reputation for doing quality work and who makes you feel as comfortable as possible. Of course you may also want someone who has affordable pricing, flexible payment options and is conveniently located. There are also dentists who specialize in treating children, which can be very important. Talk to family, friends and coworkers. References are one of the best ways to get good information about a dentist. Ask your family physician if they can recommend a dentist. Check with local dental organizations or the American Dental Association's member directory to find dentists in your area, and make a few phone calls. Do a local dentist search online. Is their office clean and organized? Does the staff use gloves, masks and gowns? Do they work with you to make scheduling convenient? Did they record your medical and dental history and place in a permanent file? Does the dentist tell you ways to improve your dental health? Are fees for procedures discussed with you before they begin work? Do they offer payment plans? Do they have special arrangements for dental emergencies that might arise outside of normal office hours? Also, you'll want to find out what dental insurance they take, or if they participate in any dental discount plans.